Two Texas school districts stand accused of violating the state’s 2015 law that decriminalized truancy. Advocacy groups came together and filed complaints, urging education officials to investigate and to shore up guidelines so that all schools follow the rules. 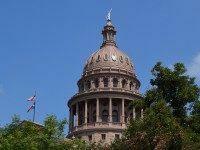 The Failure to Attend School (FTAS), also known as “truancy,” will no longer be a criminal offense in the state of Texas. Governor Greg Abbott signed the historic House Bill 2398 into law on June 18, enacting comprehensive truancy reform. The landmark legislation will go into effect on September 1, according to the Governor’s office. Today, Texas is only one of two states that still criminalizes truancy. Texas prosecutes children for truancy at more than double the rate of all forty-nine other states combined. Schoolchildren are prosecuted, punished and fined for cutting classes and missing school. Their futures are often jeopardized by criminal records over their unlawful absenteeism.